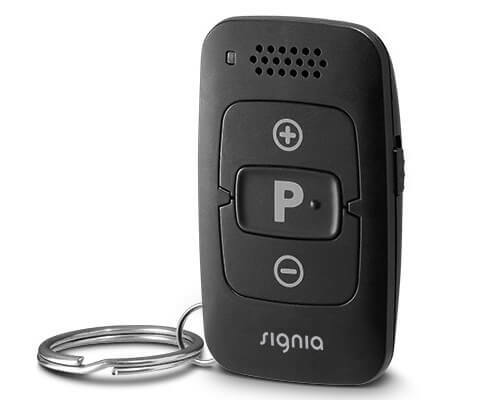 Rechargeable hearing aid solutions have topped the wish list of hearing impaired consumers, and Signia has answered the call with an innovative device: the Cellion primax, an advanced hearing aid powered by a lithium-ion battery. Cellion primax is much more than just a regular, rechargeable hearing aid. Powered by lithium-ion batteries, Cellion charges at an incredibly fast speed and provides a longer life than other rechargeable aids on the market. Lithium-ion batteries are commonly found in other personal electronic devices, such as smartphones or laptops. 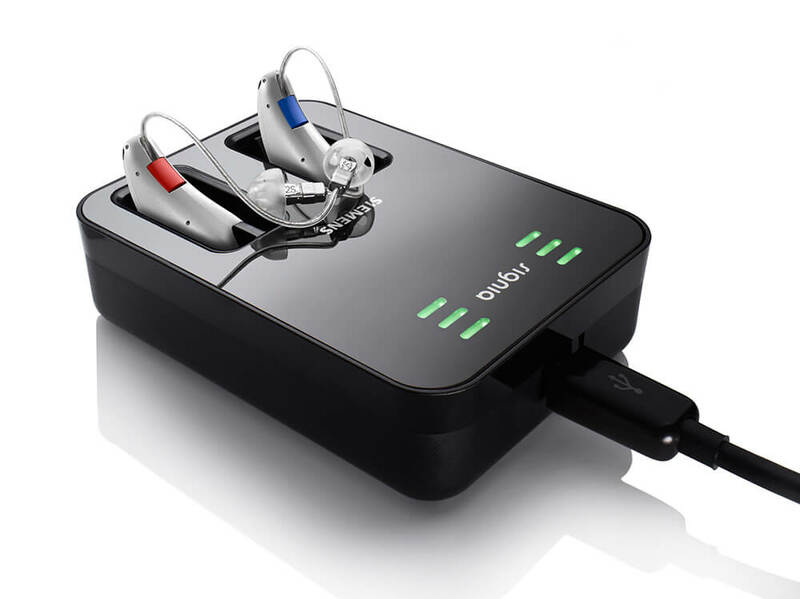 With a four-hour charge, Cellion provides wearers with 24 hours of uninterrupted listening. If you’re in a hurry, a 30-minute quick charge provides seven hours of listening. For those on the go, Signia offers a Micro USB adaptor for Cellion primax hearing aids, which allows for charging from USB-compatible sources such as a laptop, power pack, or car adaptor. Never get caught without hearing aid batteries again! While other hearing aids – traditional or rechargeable alike – tend to require battery replacement, Cellion provides wearers with another level of convenience. 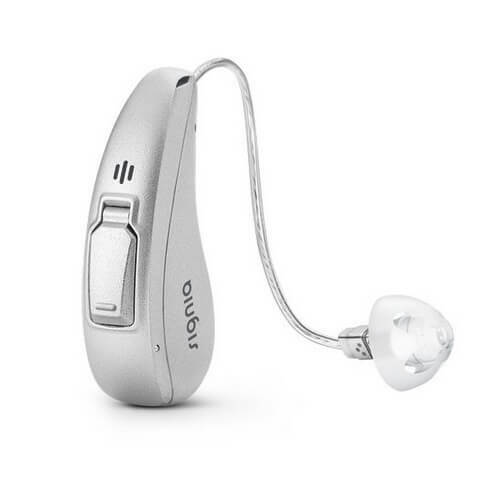 You no longer have to worry about fumbling with the small parts of your hearing aids or the tiny batteries. Cellion primax’s lithium-ion battery is designed to last five to seven years, which is the average life of hearing aids. As such, Cellion’s battery is sealed within the device and does not require removal or replacement. This brings an added benefit to both your wallet and to the environment! (In the event that your battery does require replacement, visit us at Hear Care Rhode Island). Cellion primax hearing aids are housed in a sleek OneShell design, which safely houses the lithium-ion battery. With a contactless induction charging design, Cellion primax aids begin to charge immediately as soon as they are placed into the charging station, which also functions as a dehumidifier. Cellion is one of the most advanced solutions from the Signia primax family. Signia hearing aids are packed full of advanced features and have been proven by independent studies to reduce listening effort throughout the day. Cellion primax hearing aids enable better hearing with features such as SpeechMaster and EchoShield. 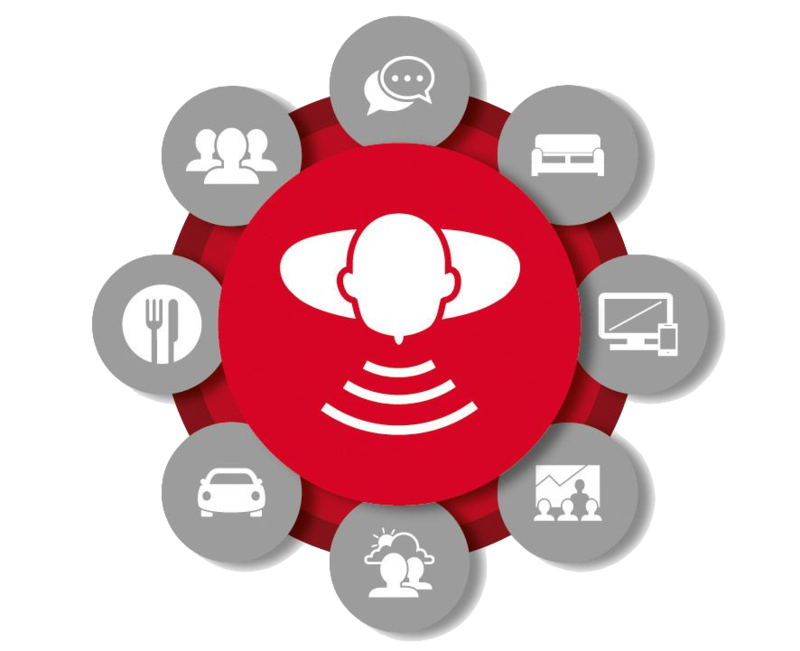 SpeechMaster is designed to address one of hearing loss’s greatest challenges: speech recognition. Hearing loss interferes with our ability to recognize speech, anticipate sentences, and follow conversations, especially when faced with background noise. SpeechMaster allows Cellion primax wearers to automatically focus on specific speakers, while reducing background noise in the environment. 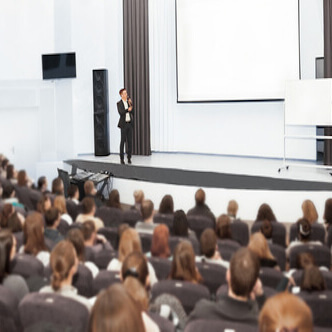 EchoShield is designed to protect sounds and speech in acoustically challenging situations, such as houses of worship, lecture halls, auditoriums, or atriums. In these spaces, sounds tend to bounce and reflect against high ceilings and hard surfaces. For people with hearing loss, these environments might distort sound. EchoShield provides Cellion wearers with a balanced and comfortable listening experience. In addition to these listening features, Cellion primax is a wireless hearing aid. With Bluetooth connection, Cellion connects directly to your personal electronics, such as a smartphone or tablet. This connection allows you to stream phone calls, music, and other media directly from your devices to your hearing aids. Even more, Cellion’s wireless connectivity allows you to make discreet and quick adjustments to your listening experience through your smartphone! As a receiver-in-canal hearing aid, Cellion primax is designed to treat varying degrees of hearing loss from moderate to severe, with two performance levels (5px and 7px). Additionally, Cellion primax is built with an IP 68 rating, providing excellent protection from moisture and debris. For people who need an extra boost, Cellion is compatible with a line of Signia accessories. 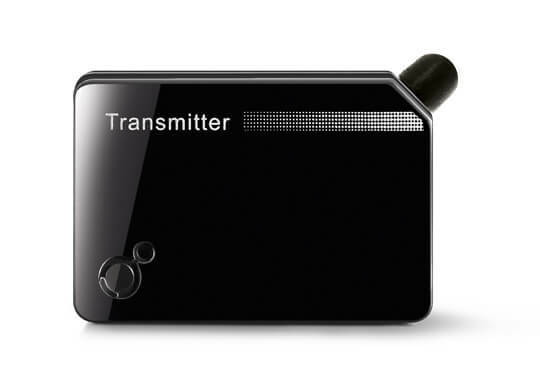 The TV Transmitter allows you to wirelessly stream audio from your TV shows and movies directly to your Cellion aids. VoiceLink (a portable microphone), a favorite for students, amplifies speech in difficult listening environments and streams audio directly to your Cellion primax aids. 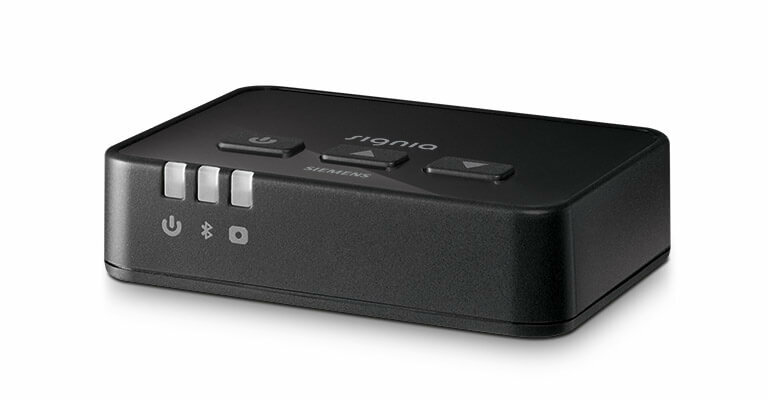 Cellion is also compatible with Signia remote controls, which come in two models. 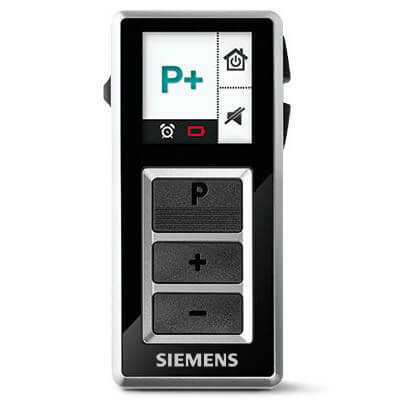 Make simple adjustments with the easyPocket or miniPocket remote control. The easyPocket is easy to use with an easy-to-read display and large buttons, while the miniPocket is discreet and fits on a keyring.